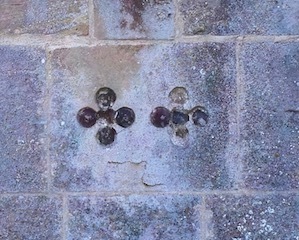 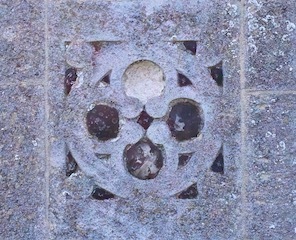 A Shield with five circles representing the five wounds which Christ suffered while being crucified. 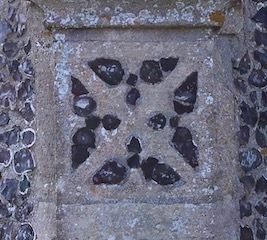 A ‘Mouchette’, a curved dagger-shaped tracery much used during the 15th century. 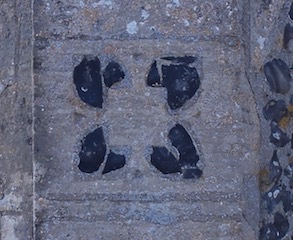 The number and shape of the mouchettes may be purely decorative but, as numbers then had divine significance, it is more likely that the three shapes symbolised the Trinity and wisdom. 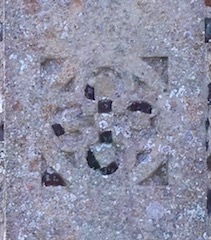 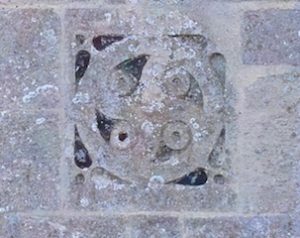 The eight-spoked wheel of life surrounding a Pommée Cross. 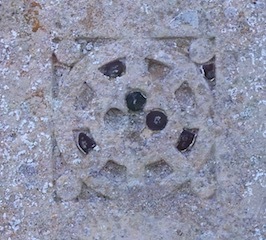 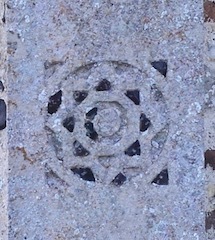 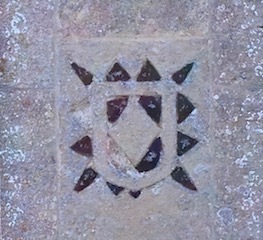 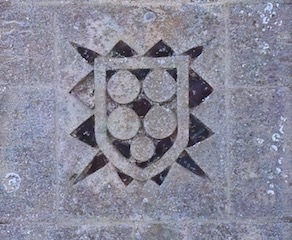 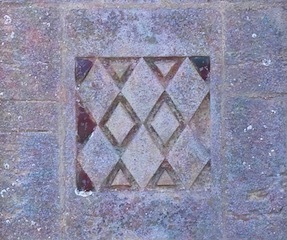 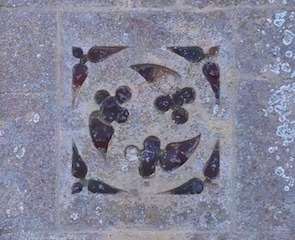 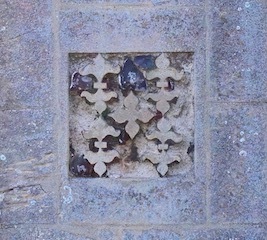 66 Decorative symbol at the top of the tower.